As your friend or family member’s birthday approaches, you want to make the day as special as possible by jotting down a message. What you write in a birthday card needs to make the person feel special. But what do you write? You want the message to be positive, but it’s not always easy to come up with the right words. The first thing to do is get a card—either preprinted with an appropriate message or a blank one for you to fill out. But don’t assume that the one with the printed message only needs a signature. You should come up with some words of your own to personalize it so the recipient will feel special. Make sure that whatever you write is suitable for the relationship you have with her. For example, you probably wouldn’t write the same message to your coworker as you would your best friend. Take a look at some of the examples below for inspiration. When writing a message to a parent, sibling, or another close family member, you can have more intimate wording. The word “love” is almost always appropriate for a family member. You also know how far you can take humor with most family members, especially if you all live in the same home. You’re the best mom in the world. I hope you have the best birthday ever! I love you to the moon and back, even though you are my pesky younger sister. Have a wonderful birthday! Happy birthday, Dad! It’s your day so let’s do whatever you want. I’ll even (go fishing, play golf, play chess, etc.) if that’s what you want to do. Hey, cousin (or cuz’)! Here’s wishing you a happy birthday filled with a boatload of blessings! Happy birthday to the best husband ever! I’m thrilled to be with you to celebrate this wonderful occasion! Happy birthday to the most wonderful wife a man can have! When your friend’s birthday approaches, you want to help make it a special day, starting with the right words. Start out by jotting some thoughts about what makes your relationship special. Perhaps you enjoy the same hobbies, or you’ve been through something together. As you write your message, put a positive spin on it to help make the day a happy one. We’ve been through a lot together, including this aging thing. As you get another year older, remember I’m right there with you, every step of the way. I’m so happy to be your friend! Let’s celebrate your birthday like only the closest of buddies can do. Happy birthday! I love you bunches! Happy birthday to my special friend who has added a ray of sunshine to my world! Since humor is so subjective, be cautious about trying to be funny. Add a humorous message only if you know it will be well received. Avoid rude comments that might hurt the person's feelings. When you give a card to a coworker, it needs to be office appropriate, even if you hang out with the person after hours. Remember that you can give her a special card on your own time, but one that might be passed around the office needs to be carefully worded. I want to wish you a very happy birthday with many more to come! I hope you have a wonderful birthday filled with celebration and joy! Happy birthday to my cubicle neighbor! Enjoy your special day! Even though I have no idea how old you are, I know it’s your birthday. Enjoy your special day! Happy birthday to a wonderful team player who makes my job fun! May this special day be filled with extra joy! Happy birthday! There are certain birthdays that call for a little extra celebration. This includes entering adulthood or any age that ends in a zero or five. 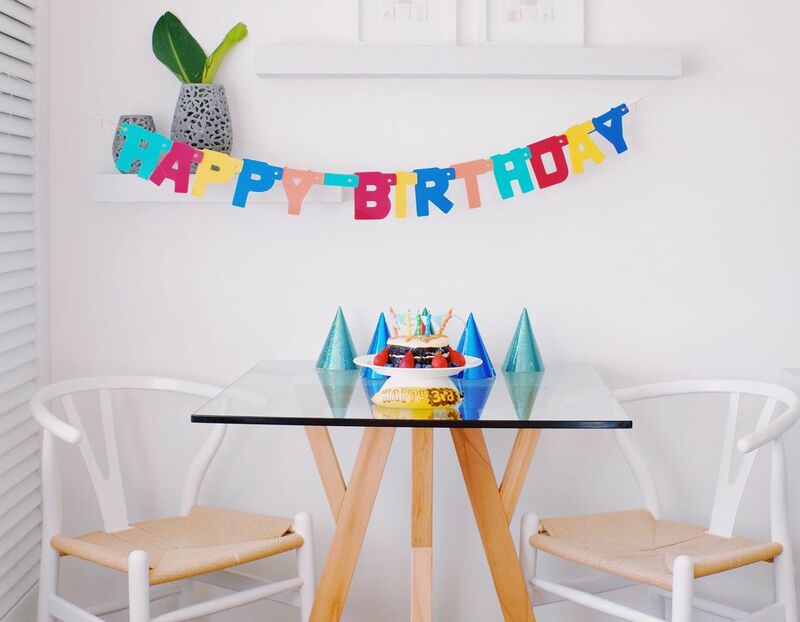 The milestone birthdays call for fun and humor, so let the giggles begin. Happy tenth birthday! How does it feel being in the double-digit club? Now that you’re 16, you can officially drive. Enjoy the ride! Happy birthday! Happy 21st birthday! Enjoy your first day of full adulthood! You made it all the way through your first quarter century! Happy 25th birthday! Wishing you a very happy birthday! You make turning 30 seem so easy! Have you heard that 40 is the new 30? Have a happy birthday with many more to come! Happy birthday! I hope you have a fabulous 50th filled with fun! Happy 65th birthday and welcome to the club! Are you really 65? Seriously? Get outta here. No way. I wanna be you when I grow up! What Goes in a Birthday Card? I’m super excited to be able to celebrate your sixteenth birthday with you. By the way, since you’re able to drive now, pick me up at 2:00. Then we can celebrate together! Happy birthday! I hear it’s your birthday. You definitely don’t look a day older than you were yesterday. Have a wonderful celebration on your special day! Be yourself and keep the message true to your relationship. If you’re sending the card to someone you typically joke around with, let the humor flow. But don’t feel pressure to be funny. If it doesn’t come natural, there is nothing wrong with an honest heartfelt message of good wishes on the person’s special day.